Your eyes met and hands slid into where they were always meant to be, in each other’s hand. The spark flew instantly; you could see the sky gleaming with happiness and birds singing to celebrate the enchanting love in the air. Relive the unforgettable moments when your souls became one under the fairy lights at the prominent Royal Orchid. A candlelight dinner complete with bright candles and gorgeous Rose petals setup. Relish a variety of Chinese cuisine with Asian influences in an intimate dining experience. A private butler would be present to welcome you with sparkling mocktails followed by main course and ending with tempting desserts.The 3 course meal full of flavorous surprise in every bite will be prepared by the artful chef. Excellent service teamed up with an elegantly served spread is assured to fascinate you both. 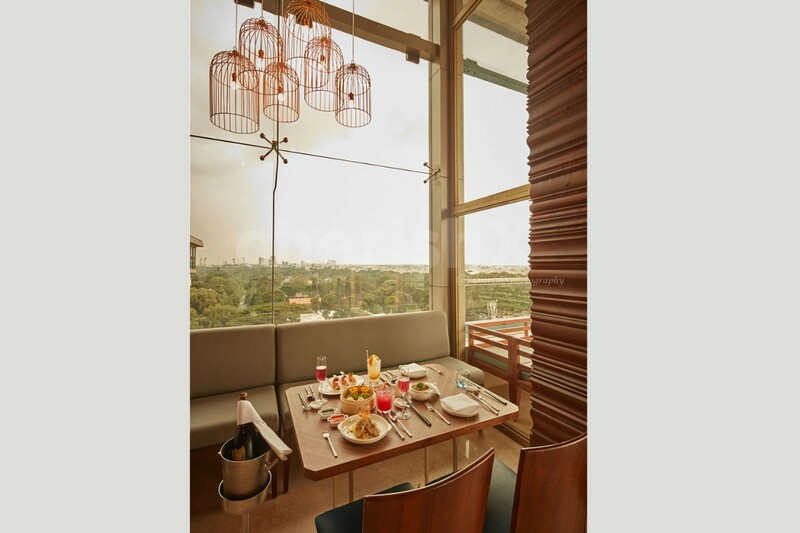 Whisper sweet nothings in your partner’s ears overlooking the spectacular view of the city. The sophisticated ambience of the space, lit up with lovely music lets you two connect superlatively.